It is time of BIG 5 DUBAI. the most important exhibition of the Middle East, dedicated to the building industry and constructions. WTS Group, always at the forefront in terms of technological research with regard to the world of sanitary fittings, will be present at The Big 5 Exhibition in Dubai with a wide selection of highly innovative products in terms of design, water saving and eco-sustainability. 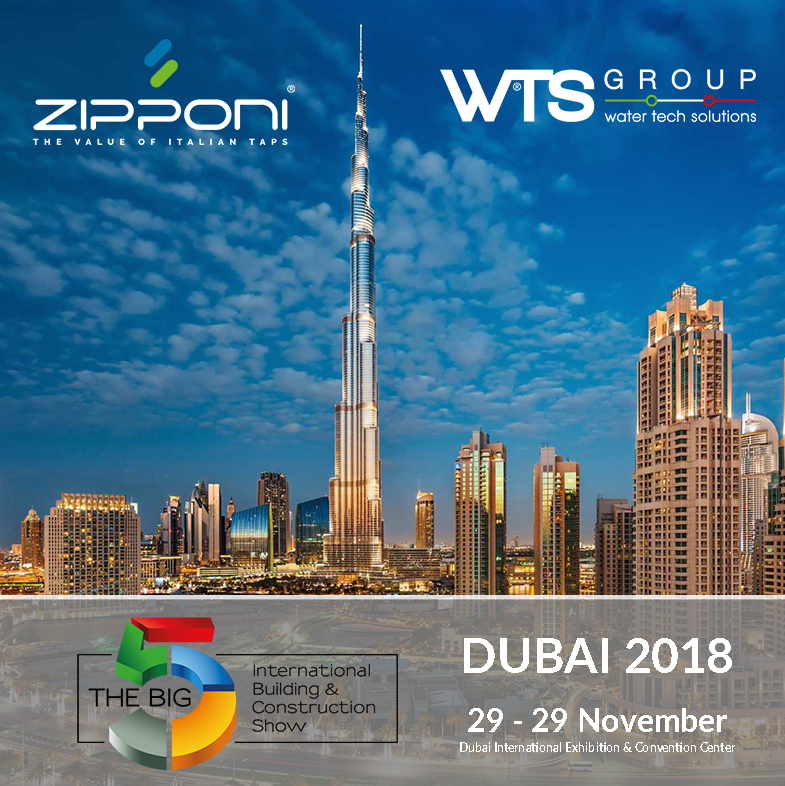 Zipponi and WTS Group, with all its own brands, will be present at the stand ; each of them will have their own space and will present all the dedicated products. In addition, the special collections PROGRAM ONE and SELECTION PRIVEE will be given ample space by presenting customers with the novelties of these series.